The EvoLLLution just published a great interview with the awesome Kate Radionoff about digital badges in continuing and professional education settings. Kate and her colleagues at Madison College in Wisconsin are leading the way in exploring how digital badges add value to these low-cost credentials that have long played a crucial role in getting people into the workforce and advancing careers. 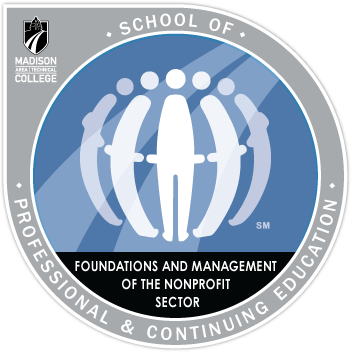 Consider for example Madison's Non-Profit Leadership program that prepares adult students for management positions in the non-profit field. There are many such programs around the country. A major appeal of certificates is that they can deliver career entry/change/advancement in as little as three months studying full time, and under a year studying part time. Yet, these certificate programs typically cost far less than conventional for-credit degree programs. These "nimble" career and professional education programs are more important than ever as states slash support for higher education and as technology and globalization disrupts the economy and the workplace. It seems possible that support of such programs is one of the few aspects of the entire Obama administration that that might be accelerated under the Trump administration (which simultaneously horrifies and tantalizes me). Increasingly, schools that offer low-cost certificate programs are also offering credits that transfer to conventional for-credit programs. This allows people to continue studying part-time towards their degree after they have entered the workforce, preparing them for even more substantial career advancement. However, such arrangements threaten conventional for-credit programs and have proven to be quite problematic. Many students discover that some or all of their credits don't transfer, potentially even to the granting institution, or that they only transfer to for-profit or fully online schools with poor reputations. Technology is quickly transforming this space. Many conventional programs are moving online, and a new generation of fully online schools, including for-profits, are expanding aggressively in this space. These informal "analog" Learning Recognition Networks were certainly opaque and inefficient. Nonetheless, they worked because they emerged over decades alongside similarly analog practices for admitting, teaching, transferring, recruiting, and hiring. From a Learning Sciences perspective, a key function of these conventional LRNs was helping stakeholders assess whether the disciplinary knowledge represented by the credential will be useful (i.e., transfer) to the specific disciplinary contexts represented by the new workplace or educational program. As Kate explains in her interview, digital badges can help this situation. Digital badges can articulate the specific competencies gained, provide web-enabled evidence of those competencies, and provide information about the context in which those competencies were developed and evidence was produced. Open badges allow this information to travel readily across social networks and email. Whereas analog credentials can lose value as they travel farther away from the program that granted them, digital credentials can gain value as they move through cyberspace and pick up additional endorsement and meaning along the way. This phenomenon is enhanced dramatically when badges are combined with ePortfolios. This is because it allows institutions to offer "eCertificates" that contain information about the context in which those competencies were gained. As I elaborate here, this information is crucial for understanding the contexts in which this information will be useful. Many traditional continuing education programs are aggressively moving online. This allows them to attract students from anywhere in the country or even the world. Meanwhile, this entire space is being disrupted by the emergence of even cheaper digital alternatives. 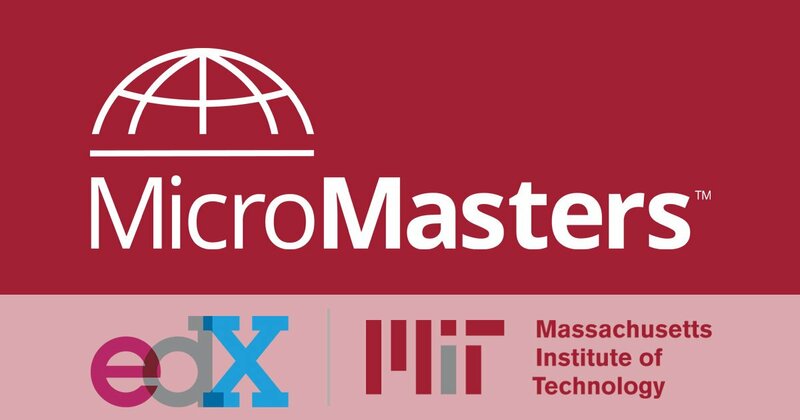 These include "Nano-Degrees" from Udacity, ASU's Global Freshman program, and the edX MicroMasters from MIT, Michigan, and other brand-name universities. These programs are based on friction-free MOOCs where the marginal costs of each additional student are essentially zero. For relatively small additional fees, these programs are able to add identity verification, assessments, and paperwork needed to award credit. The early results of these disruptive new entrants has been mixed. For example, less than one percent of the 34K students who signed up for ASU's experiment were even eligible to earn credit for their courses. Whether or not these new MOOC-based credits transfer beyond the granting institution remains to be seen. This is in part because MOOCs have presented immense problems for accountability. For example, there is convincing evidence that many students are simply opening multiple accounts to facilitate cheating. 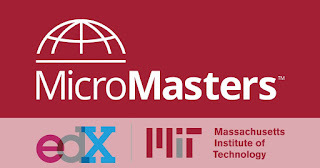 In response, most of the MicroMasters programs require students to complete 3-5 MOOCs and then pass a "capstone exam" that is formally proctored (i.e., in a testing center or using proctoring technology). 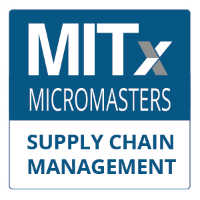 For example, MIT's Supply Chain Management (SCM) MicroMasters requires students to complete five MOOCs ($100-$150 per course) and then pass the capstone exam ($600). MIT has stated that 30-40 (presumably) top scoring students will be allowed to use those courses as the first semester of MIT's renowned (and expensive) two-semester residential MS degree in SCM. While selection bias will make it impossible to directly compare the impact of these three different SCM credentials (i.e., MicroMasters only, hybrid MS, and residential MS), many will be interested in seeing how they compare in the workplace. However, all of this attention is likely to dramatically increase the visibility (and therefore value) of the MicroMasters in general and the first SCM MicroMasters in particular. Plus, it seems likely that the passing scores on the Capstone Exam will be set relatively high at first. MIT has stated that they are "still working things out" for the first SCM capstone exam to be offered in 2017. Notably, MIT has stated that the capstone exams will include "some writing." This is likely really important. Consider, for example, knowledge of Demand Forecasting as covered in MIT's Supply Chain Fundamentals course. It is pretty routine to make multiple choice tests that reliably compare how much students know about Demand Forecasting as covered in the Supply Chain Fundamentals course. As long as those items were not directly presented in the curriculum and the test is secure and psychometrically sound, a proctored test can provide valid evidence of how much of the "textbook" knowledge about Demand Forecasting students actually know. The writing part of the MicroMasters capstone is important because essay or performance tasks are usually needed to provide valid evidence of whether or not students can apply the textbook disciplinary knowledge gained in the courses to specific disciplinary contexts. For example, most SCM experts could readily evaluate a written response to a performance assessment that asks learners to describe how they would forecast demand for a supply chain scenario in a well-known sector of the economy. As long as the specific scenario was different from the ones used in the curriculum and not known in advance, such assessments can provide evidence of transfer or course knowledge to disciplinary contexts. Disciplinary experts can make such judgments because a deep understanding of the nuances of application in multiple contexts is precisely what leads individuals to be recognized as an expert by disciplinary communities. Of course, such assessment innovations present challenges such as using and equating multiple scenarios, but measurement professionals have been dealing with this for decades. This (admittedly wordy) windup brings me to the two main points of my post. My first point is that I worry whether less prestigious and/or fully online schools can offer enough value in their low-cost online certificates to attract sufficient numbers of students—particularly without incorporating digital badges. My second point is that these new models of learning really call for new models for capturing, presenting, and discussing evidence of that learning. As such, all of these programs should be able to use newer digital LRNs to add value to their credentials without significantly increasing cost. As I elaborated in an August 2016 post, digital badges and ePortfolios together promise synergy in transforming the recognition of learning. In a followup post this week, I showed how the Portfolium platform has made tremendous progress in this regard. The platform is "free for life" for students. This is because recruiters and employers pay to use the platform to locate and communicate with potential employees, while universities pay to use the platform to help their students find jobs and identify skills gaps between their programs and employers. By making it simple for the entire range of stakeholders to access and discuss information about learner competencies, Portfolium has established a true digital Learning Recognition Network. Many educators like ePortfolios because they provide a useful context where students can practice real-world applications of disciplinary knowledge from courses, and (ideally) learn collaboratively from classmates who are doing the same. Course projects can serve a similar function. 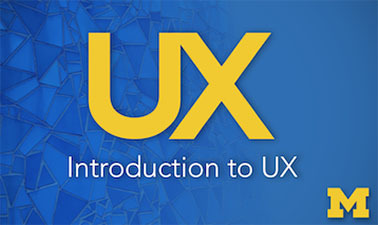 This is why I am intrigued that Michigan's User Experience MicroMasters have replaced their capstone exam with a $249 "UX capstone course" where students "conduct a multistage user experience project to design a project from scratch." While portfolios and course projects are ideal for the formative assessment that is crucial for learning to apply disciplinary knowledge, student-generated artifacts are notoriously problematic for summative assessment. In particular, admissions officials, recruiters, and registrars are often unclear regarding what competencies are actually represented, and how much help students received in completing the artifacts contained in the portfolio. This is where digital badges can help. In addition to highlighting the particular competencies that are demonstrated in the artifacts, they can contain evidence (and links to additional evidence) that supports those competencies and information about the context in which they were gained. Particularly in fully online contexts, a little bit of additional information can go a long ways to increasing the validity of evidence of competence. With ePortfolios, the badge evidence fields can link to specific aspects of the student work. Crucially, the badge can also provide additional information about the context in which the learner completed the work and information about other related validity evidence (such as performance on a corresponding exam). Furthermore, they place this information where it is readily located and interpreted, but without cluttering the student work for those who are not looking for that information. However, the real synergy between badges and ePortfolios is the ease with which these new LRN platforms will allow all stakeholders to discuss competencies and contexts. New digital LRNs will allow a potential employer to easily locate and "drill down" into the information as needed, and then communicate easily with individuals to gather additional information. What they really offer is a vastly more efficient version of the web searches, phone calls, and emails that currently define analog LRNs. If you are still reading (sorry! ), you can now appreciate why I was so excited about the exchange I had with Luis Lopez in my last blog post. That exchange took place inside of his badge. And because Luis was able to look up my profile, he was able to readily tailor his answer to my question. To my knowledge, the phrase "Learning Recognition Network" was first coined by Geoff Irvine, the CEO of Chalk & Wire. His Ontario-based company announced in August that they were developing MyMantl as the first "from the ground up" digital LRN. On February 17, 2017, Chalk & Wire will be releasing a minimally viable product (MVP). This means that it will have enough features to be widely useful, but still flexible enough to add new features and functions as its user community asks for them. Notably, its core features are going to support several of the kinds of interactions that many schools and educators have been looking for. Most importantly, Portfolium, MyMantl, and other digital LRNs will eventually offer many functions that stakeholders are not currently looking for, simply because they have not yet imagined them. As Geoff put it recently, many of these stakeholders are stuck in a very deep rut. LinkedIn and online job sites have certainly changed the recruiting landscape, but our credentialing landscape has still been largely unchanged by digital networks. With the exception of digital badges, our current landscape of grades, transcripts, and certificates function much as it did before the Internet. As I argue elsewhere, networked technology should eventually transform credentialing as much or more than it has transformed publishing and retailing. As such, educational programs that dismiss digital credentials now are soon going to look a lot like the publishers and retailers who dismissed eCommerce in the early 1990s. I wish to acknowledge the assistance of Christopher D. Andrews in preparing this post.